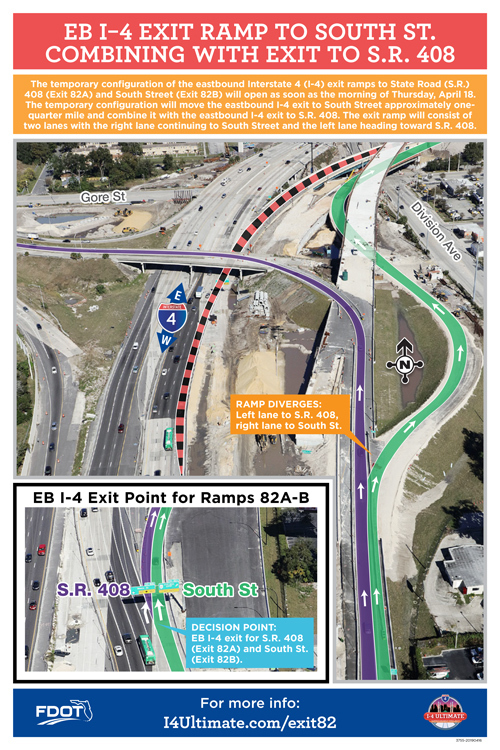 The eastbound Interstate 4 (I-4) exit to South Street is temporarily combining with the exit ramp to State Road (S.R.) 408 as soon as the morning of Thursday, April 18. 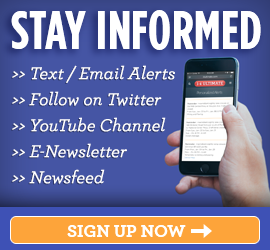 Due to unforeseen circumstances this operation has been rescheduled for Wednesday evening into Thursday morning. 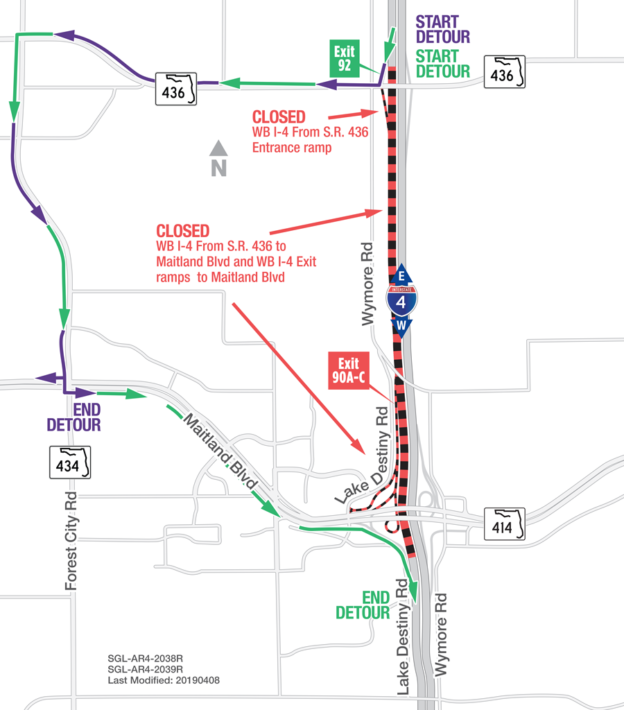 The temporary configuration will move the eastbound I-4 exit to South Street (Exit 82B) approximately one-quarter mile and combine it with the eastbound I-4 exit to S.R. 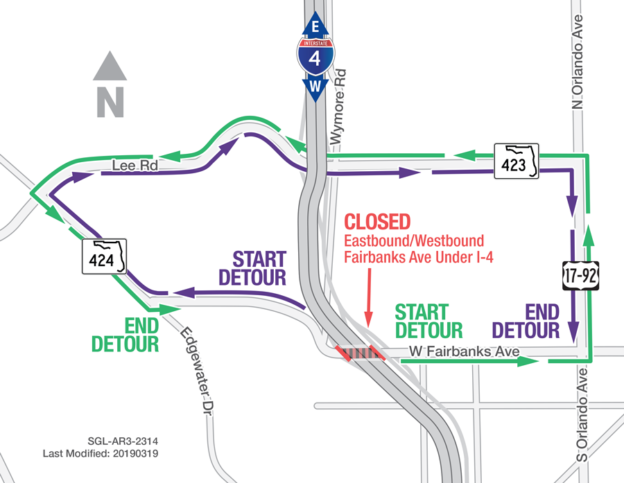 408 (Exit 82A). 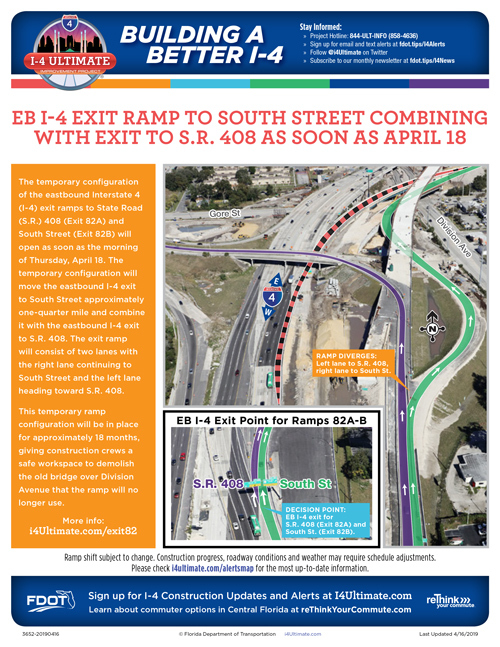 The exit ramp will consist of two lanes with the right lane continuing to South Street and the left lane heading toward S.R. 408. 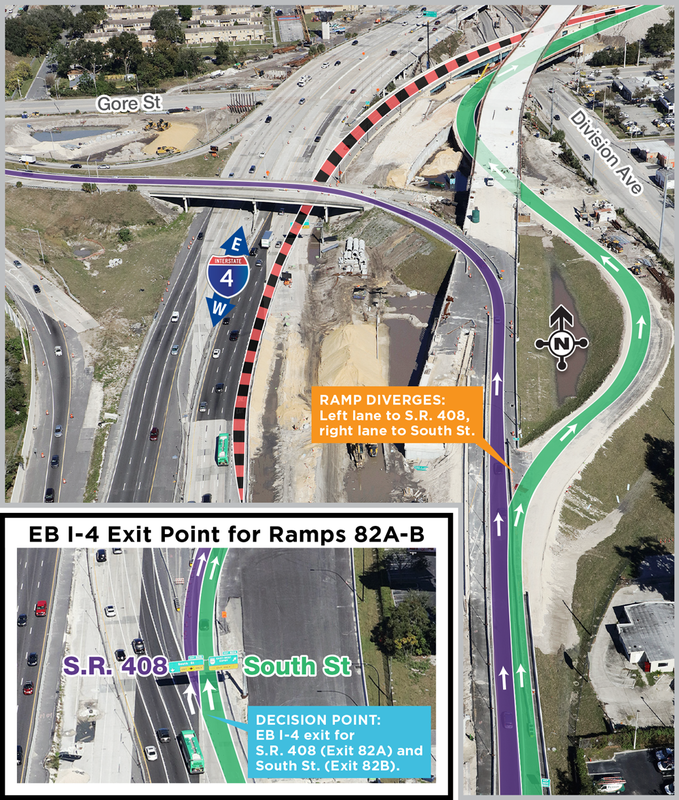 This temporary ramp configuration will be in place for approximately 18 months, giving construction crews a safe workspace to demolish the old bridge over Division Avenue that the ramp will no longer use. 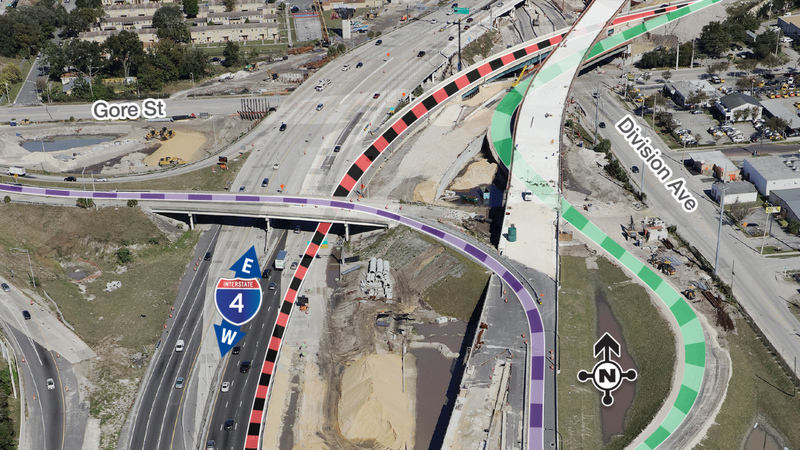 The temporary ramp configuration also is necessary to continue construction of the new eastbound I-4 travel lanes through downtown Orlando. 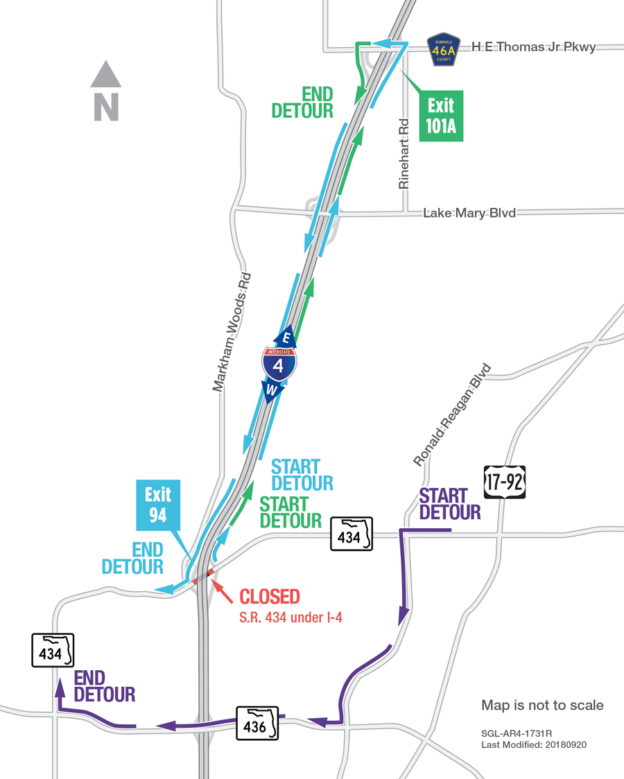 Additional resources, including a handout detailing alternate routes, are available at i4ultimate.com/exit82.